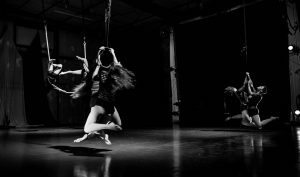 The Madison Circus Space member produced Skeleton Circus will take place on January 20, 2017 with a special family focused show on Sunday, January 22nd. Two shows on Friday at 6 and 9pm and one show Sunday morning at 9:30am. All shows at MCS. The 6th Skeleton Circus is sponsored in part by Yelp.